Stanley Childs, 90, formerly of Lisbon, died May 29, 2011, at United Helpers Nursing Home, Ogdensburg. Allen-Denesha Funeral Home, DeKalb Junction, is in care of arrangements. 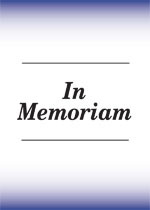 Calling hours will be Wednesday, June 1st, 12 – 2 p.m., the funeral service will follow at the funeral home with the Lay Minister Margaret Hance officiating. Burial will be in St. Mary’s Cemetery, Canton.Stanley is survived by his sons, Tom Childs (Phyllis Foster), Hannawa Falls, and Rella Childs, Keysville, TN; daughter Betty (Dale) Aldrich, Lisbon; grandsons Andy Aldrich and Tim (Crystal) Aldrich; great grandchildren Zachary Aldrich and Lucas Aldrich; brother Merlin (Jean) Childs, Rensselaer Falls; sisters Minnie Pike, Canton, Helen (Don) Houck Canastota, and Betty Simmons, Canton; and several nieces and nephews. He was predeceased by a son, Bernard Childs; a brother, Mertin Childs; and a sister, Laura Austin. He was born in the Town of DeKalb, the child of Ralph and Beatrice Stone Childs. He was in the U.S. Army during WWII, he was award the Philippines Liberation Ribbon, the Asiatic Pacific Campaign Medal, Good Conduct Medal and WWII Victory Medal. He married Alice C. O’Grady on January 21, 1961 in DeKalb Junction, Justice of the Peace Elmer Denesha, officiating, she died February 28, 2005. Stanley was a highway crewman for the Town of DeKalb, and prior to that was a mechanic of farm equipment for Art Robinson in Canton. He was a member of the VFW of Canton, and the Kendrew Methodist Church. He loved to garden, play cards and farming. In lieu of flowers contributions can be made to the Kendrew Methodist Church. June A. Miller, 87, of Ogdensburg, died May 19, 2011, at St. Joseph’s Nursing Home. Allen-Denesha Funeral Home, DeKalb Junction, is in care of arrangements. A calling hour will be Monday, 23, 2011, 10 to 11 a.m., the funeral service will follow, at the funeral home, Reverend William Hart officiating, burial will be in the Rensselaer Falls Cemetery. June is survived by her brother Murray and Ethel Miller of DeKalb; sister, Mary Jane Miller of Potsdam; sister-in-law Betty Miller of Florida; nieces and nephews, Connie Green, Shirley Turbide, Kathy Wright, Vicky Vining, Robert Miller, Jeffrey Miller, John Miller, and Michael Miller; cousins, Christopher Sargent, Linda Davis, and Craig Sargent; and several great nieces and nephews. She was predeceased by a brother, Merrill Miller. She was born June 26, 1923, in Rensselaer Falls, the child of Robert James and Pauline Edith Millar Miller. June was an independent caregiver. She was a member of the Heuvelton Order of the Eastern Star, Ogdensburg Senior Citizen Club, and the First Baptist Church in Ogdensburg. She loved doing embroidery, making quilts, reading and especially babysitting her nieces and nephews. In lieu of flowers contributions can be made to the Rensselaer Falls Volunteer Fire Department. It is with great sadness that the family of Margaret Hamilton announces her passing. Margaret Hamilton, 93, of DeKalb Junction, died May 14, 2011, at the Canton Potsdam Hospital. Allen-Denesha Funeral Home, DeKalb Junction, is in care of arrangements. Calling hours will be Tuesday, 17, 2011, 4 – 7 p.m., the funeral service will be Wednesday, May 18th, 11:00 a.m. at the funeral home, Reverend William Hart officiating. Burial will be in Old DeKalb Cemetery. Margaret is survived by her daughters, Victoria Hamilton of Old DeKalb, Marjorie Hamilton of Lynchburg VA, Susan Hamilton and fiancé, Peter Mezoian of South Portland, ME, Noyce “Allen” Pedroza of Gouverneur, Sophie and Reg Chilton of DeKalb Junction, Roger Hamilton and David Hamilton both of Gouverneur, Ben Peck, Heuvelton; six grandchildren; nine great-grandchildren; several nieces and nephews. She was predeceased by a brother, Charles Pedroza. She was born September 21, 1921 in Worcester, VT, the child of Noyce C. and Winifred Lucas Pedroza. Margaret graduated from the Ogdensburg School of Practical Nursing in 1964, as a licensed practical nurse. She married Robert Rickett Hamilton on February 5, 1946 in Bremerton, WA; he died on December 28, 1999. She was an LPN at EJ Noble Hospital, Canton, in 1977 she went to work at EJ Noble Hospital in Gouverneur, and she retired in 1988. She was a member of the DeKalb Craft Club, as treasurer; Old DeKalb Methodist Church, as treasurer for 10 years and was on the finance committee; the DeKalb Hermon Senior Citizen Club; Town of DeKalb Historical Association. She was the deputy supervisor in the Town of DeKalb in 1988. She was on the Hermon DeKalb Central School board for 12 years, and she was a judge at the St. Lawrence County Fair for needlework. She loved bowling, reading, quilting, knitting, doing needlework and crafts and playing cards. In lieu of flowers contributions can be made to the Old DeKalb Methodist Church or Hospice and Palliative Care of St. Lawrence Valley. John T. Woods, 93, of DeKalb Junction, died May 8, 2011, at the Spicer Care Home. Allen-Denesha Funeral Home, DeKalb Junction, is in care of arrangements. Calling hours will be Wednesday, 11, 2011, 1 -4 p.m., the funeral service will follow at the funeral home with Lay Minister John Frary officiating. Burial will be in the East DeKalb Cemetery. John is survived by his wife Geraldine “Gerry” M.; brother Arthur (Betty) Woods, Gouverneur; and several nieces and nephews. He was predeceased by brothers, Carlton, and Kenneth Woods; and sisters Lena Yancy, Della Evans, and Elizabeth Peck. He was born August 15, 1917 in the Town of DeKalb, the child of Arthur and Mollie Daraway Woods. He married Geraldine M. Coller on August 25, 1945, in Canton, Reverend Alfred Coffey officiating. He was a mail carrier for the U.S. Postal Service for 34 years, retiring in 1989. He also was a dairy farmer and worked for Seymour Commission Sales. He loved to play cards, especially pinochle, go to horse pulls, horse shows, stock car races and do word puzzle books. Contributions can be made to the E. J. Noble Hospital Guild, DeKalb Junction United Methodist Church or the DeKalb Junction Volunteer Fire Dept.